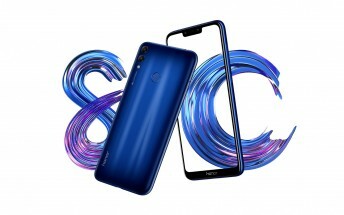 The Honor 8X was introduced in Europe, meanwhile the Honor 8C was unveiled in China. It’s available for pre-order now and is coming out next week. 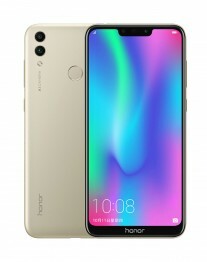 The price is CNY 1,100 for the 4/32GB model – that’s $160/€140/£120 (the 8X is £225 in the UK). There’s also a 4/64GB version for CNY 1,400. So, what does that kind of money buy you? A 6.26” IPS LCD with 720 x 1,520px resolution. It has a notch and (according to official numbers) covers 86.6% of the front surface. 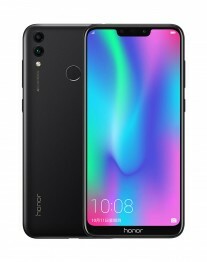 The Honor 8C packs a Snapdragon 632 chipset, which is a combination of a fairly powerful CPU (four A73-based Kryo cores and four A53-based ones) with an old GPU (Adreno 506 was used in the Snapdragon 626). This 14nm chip offers good general performance, but wouldn’t be our pick for a gaming phone. Still, A73-based cores in this price range is nothing to sneeze at. Plus, the efficient chipset is hooked up to a large 4,000mAh battery, so we can expect great endurance from this handset. There’s a dual camera on the rear – a 13+2MP shooter. The main module has a bright f/1.8 aperture while its partner is used for depth of field effects. There’s a single 8MP f/2.0 selfie camera on the front. The 8C is a dual-SIM phone and the card tray has an extra spot for a microSD card. VoLTE is supported. The phone runs Android 8.1 with EMUI 8.2 out of the box. Follow the Source link to check out the Honor 8C at Vmall.